We hit one of Essex’s sizzling new shopping hotspots on Wednesday 9 November, as Bella Sorella was revealed to the Press. This Aladdin’s cave of glamour is situated in Loughton High Road and is the brainchild of TOWIE’s Lydia Bright and her lovely sister Georgia. The uber stylish siblings have packed their boutique (which when translated into English means ‘beautiful sister’) with to die-for cupcakes, vintage inspired treasures and everything from affordable fashion to BAFTA-worthy frocks. The TOWIE gang including dear Nanny Pat turned up in full force with one noticeable absence, that of Jungle-Jim, Mr Mark Wright. 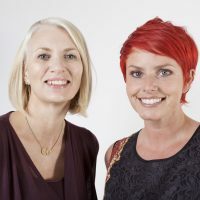 We were invited as guests of Reveal Magazine but as an ex journo I couldn’t resist snapping a few pics of some of Bella Sorella’s delights whilst Kirstie and I prized the latest goss’ from the perfected pouts of our favourite Essex neighbours. Whilst gorgeous Georgia entertained half the guests, delightful Lydia kept us cool with each and every flutter of her incredible lashes which she informed us were made by Eylure. Apparantly she’s a dab hand at applying them herself too. Very impressive, we’re twice her age and still manage to glue our fingers to our lids. 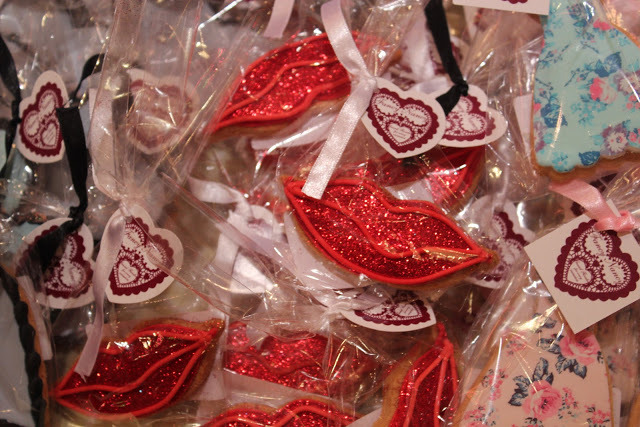 How apt are these kissable treats from the wonderfully talented Juliet – The Guv’ of Cake Boutique Fancy Nancy based in Essex’s sunny Leigh-On-Sea. 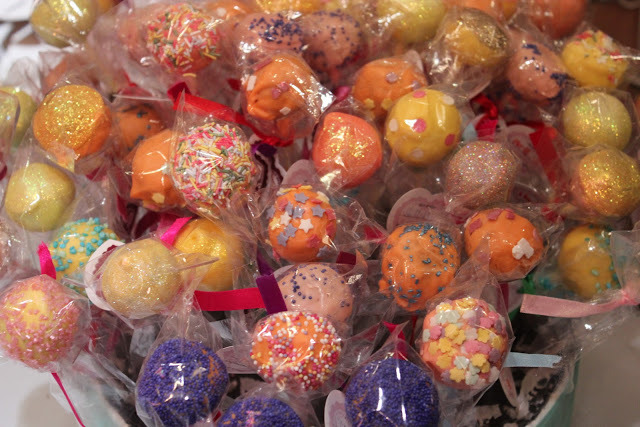 Fancy Nancy’s Cake Pops are one of Bella Sorella’s most sought after delicacy. 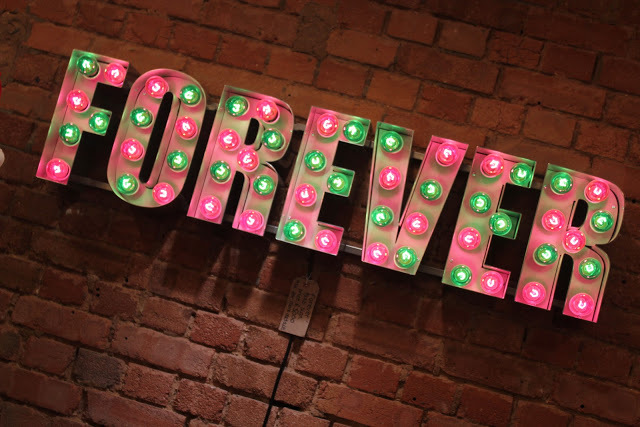 It’s the focal point of the store, it’s for sale, it’s mega bucks. DEAR SANTA – Please may we have one for Chrimbo? 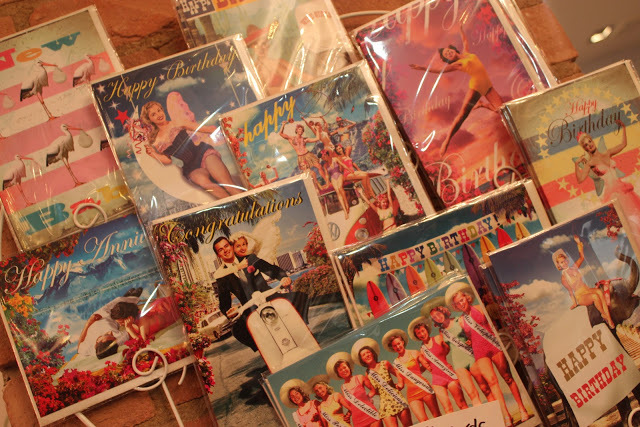 Being total vintage fiends, we need and simply must have each and every one of these retro cards. 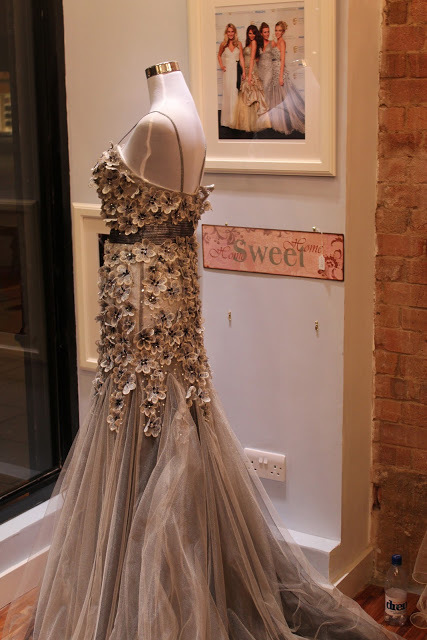 One of Lydia’s favourite designs in the boutique is this Dynasty dress which she wore to the BAFTAs earlier this year. When Lydia’s beau ‘Arg’ arrived he made a beeline straight for his girlie and planted a massive smacker on her lips. 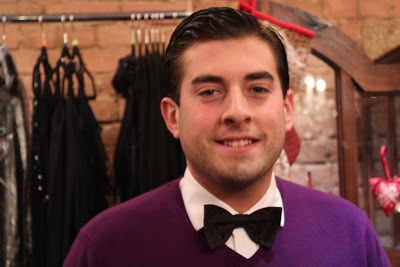 You can’t tell from this pic but we can assure one and all that darling ‘Arg’ was incredibly proud to be sporting a vajazzled bow tie. Tiejazzled bow tie even. The Towie gang had spent the previous day in the studio recording their very own rendition of Last Christmas. Practiced crooner Arg’ told us he wanted to sing the entire song but was happy to follow Nanny Pat’s “Happy Christmas,” with his line, “I wrapped it up and sent it with a note, saying I love you I meant it.” Well we know how much he loves his Lydia judging by the amount of money he spent on the Charlotte Olympia Shoes she was wearing this evening. They set him back over £600. 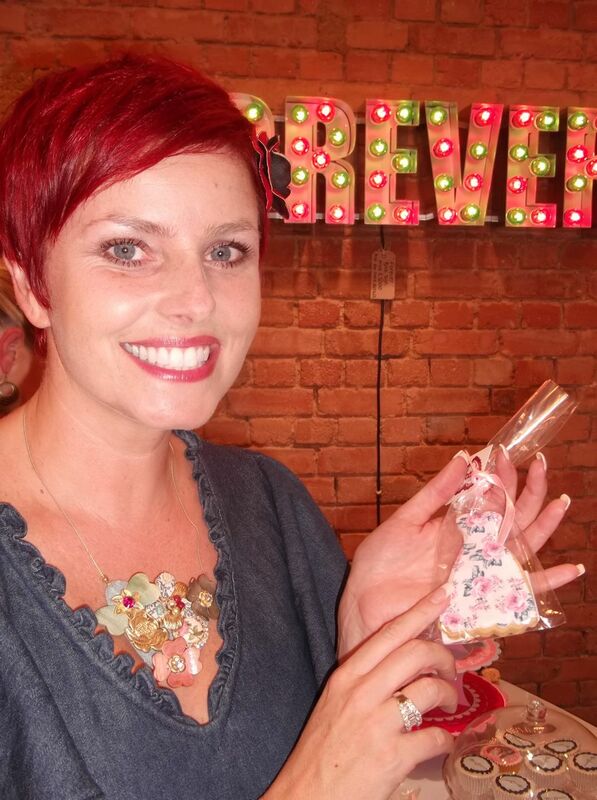 Oh how we love the utterly adoreable Debbie Douglas (Lydia and Georgia’s effervescent Mum). 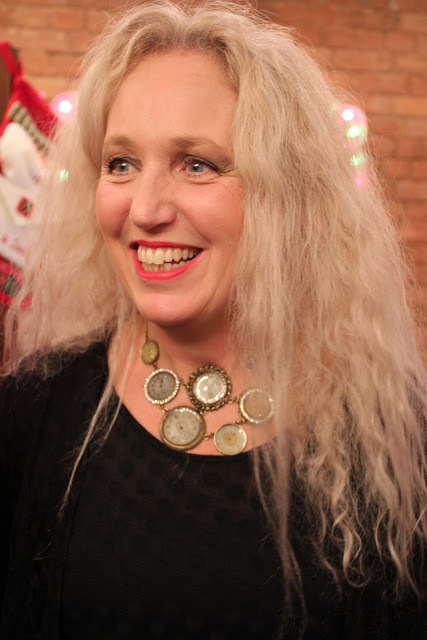 Bursting with energy, the ex Gloria Vanderbilt employee dressed in Ghost and sporting an eye-catching Accessorise necklace, was positively glowing. So what’s the secret behind her amazing skin? (honestly guys, close up you won’t believe how incredibly flawless it is). Well, we happen to know that Debbie hits the sack, every night, covered from head to toe ‘Seal stylee’ in good old Acqueos cream and has done for years. 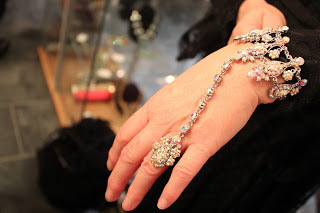 Debbie models one of her favourite pieces of sparkle from Bella Sorella – priced under £30. Beautiful Billie Faiers; Does this lovely creature ever stop smiling? Billie’s sister Sam looked super elegant in her Love Label slinky, maxi slip dress. Don’t tell anyone but it was a bargain £49 however, she looked a million dollars in it. 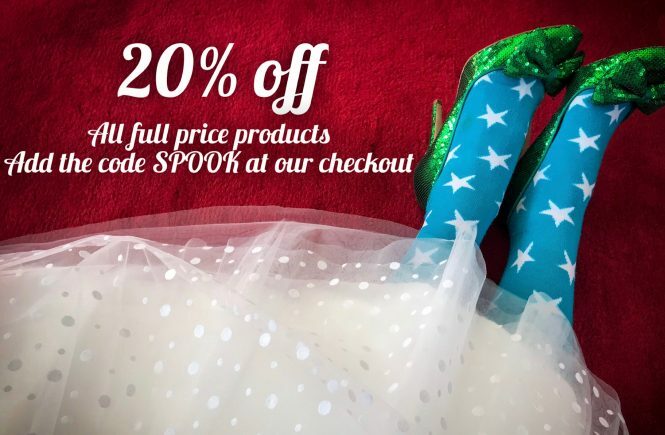 Thanks for a great blog! I will post your name/dresses on my weddingdress-blog this afternoon. Loved the dont-break-the-bank-idea!